A most delicious and easy side dish. 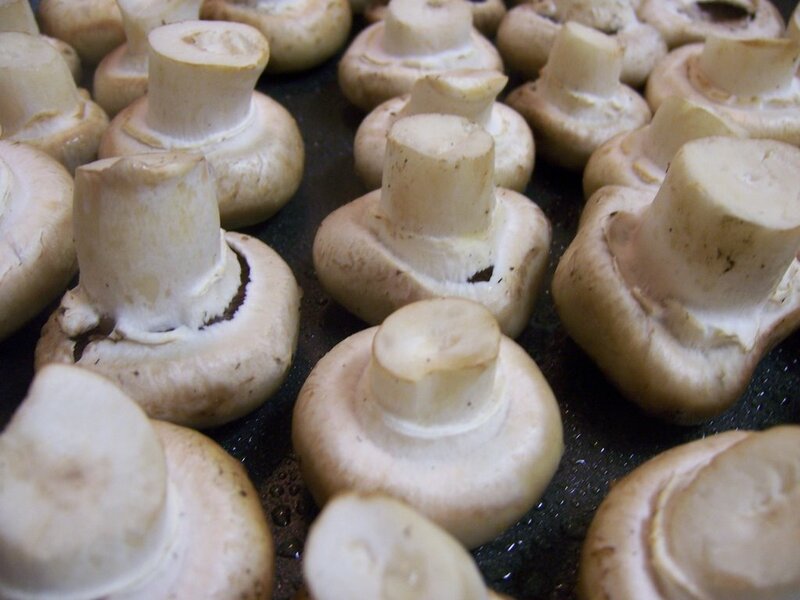 Use any kind of mushrooms, but make sure they are fresh and clean. Also, no washing, the water will get absorbed by the mushrooms, and instead of sauteeing, they'll steam. Get a saute pan very hot, add oil. Add mushrooms, cap side down, and saute on med-high heat without moving the mushrooms. After 3-4 minutes, add salt and pepper. Cook an additional 3-4 minutes, then toss in pan. Add brandy, be careful of flare-ups. Add thyme, toss to coat, serve immediately. I love brandy with mushrooms...yum.